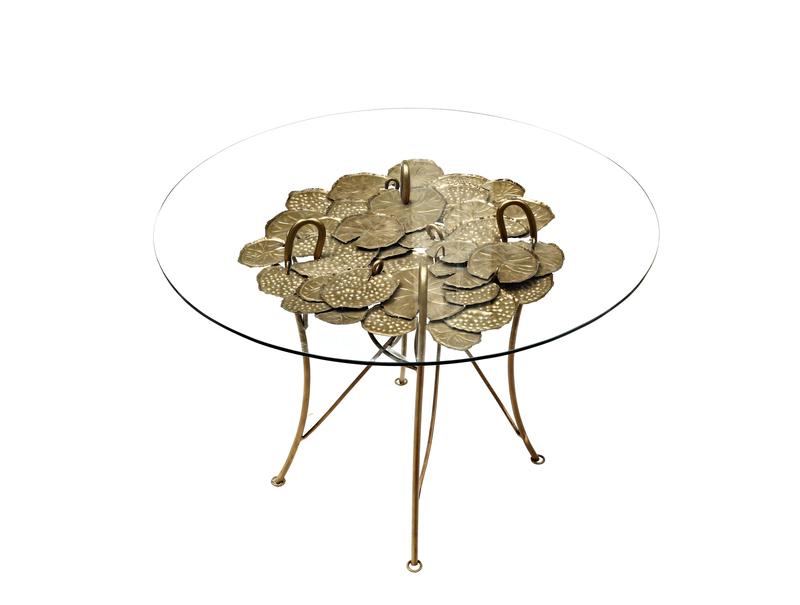 Description: Each highly-detailed, antique brass lily pad leaf is delicately put together to create this lovely table. 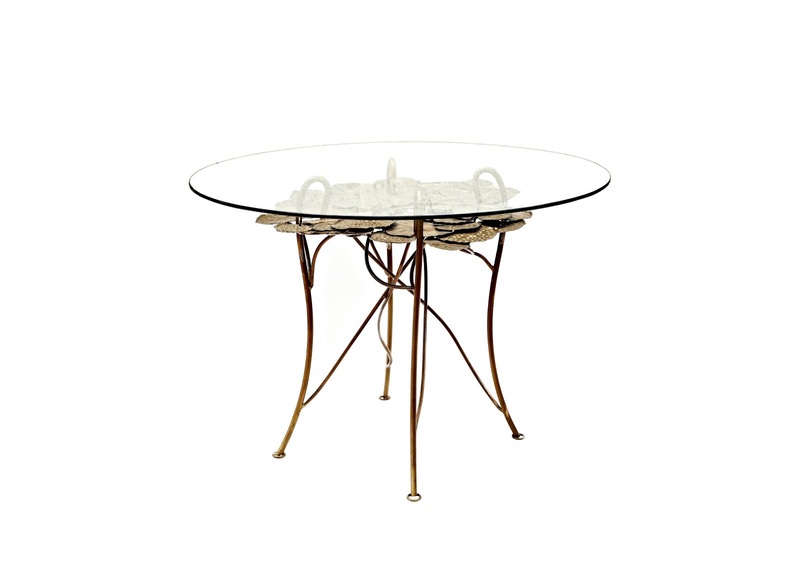 The table is topped with a round glass. It is inspired by the elegant shape and spiritual symbolism of the floating flower. Multiple pieces are set together to create this multi-dimentional centerpiece for the table. Make Monet proud.